You’ve seen examples of fan magazines from the silent era. But there were also trade magazines, for theater owners and managers, with a focus on the business end of things. The leading trade papers in the 1920s were Exhibitors Herald and Moving Picture World, and while they’re short on glamour, they’re fascinating to read. My favorite section is the exhibitor reviews. Theater men would send in reports describing how well their audiences liked the films that were presented, and the trade papers would print dozens of these reports in each issue. We might guess, with a bit of cynicism, that the trades would be inclined to keep bad reviews to a minimum, lest powerful advertisers be offended. But this wasn’t the case, as you’ll see below. 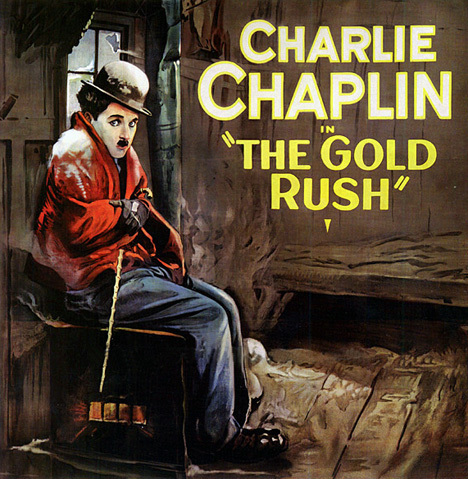 Now, one of the most acclaimed and beloved of all silent films is Charlie Chaplin’s The Gold Rush (1925). We’ve heard that the film was a hit, another in a long line of triumphs for one of the era’s greatest filmmakers. Interestingly, a whole lot of exhibitors had a different perspective. Charlie and Mack Swain are confronted by an angry exhibitor. The exhibitor reviews for other films can be eye-openers as well. Apparently, small-town audiences in the American heartland didn’t much care for stars like Raymond Griffith, Pola Negri and Adolphe Menjou. Opinions were very divided on W. C. Fields and Rudolph Valentino. Lest you get the impression that the theater men were just chronically hard to please, here are the compiled reviews for a relatively forgotten comedy. It just happened to star Charlie Chaplin’s brother. So, then… apart from a little grumbling about the high cost of renting the print (a complaint they also hit The Gold Rush for), the exhibitors reported great success with Syd Chaplin, more so than with Charlie. I’m not sure what conclusions should be drawn from all of this. I’m just throwing it out there. As with every other area of history, film history has its surprises. Theater critic George Jean Nathan admired Charlie but thought Syd Chaplin’s pictures were funnier. Thanks for posting all these Chaplin reviews, Chris. I’m really surprised so many knocked the “The Gold Rush,” when I always thought the film a classic. Was Charlie on everyones bad side at the time for a scandal or something? Or was it really due to the high price? Well, the exhibitors always groused about high rental prices. But in this case, there are so many reports of unhappy or indifferent audiences that there must be something more involved. It seems to me that these audiences found the film to be a let-down. It had been two years since there’s been a new Little Tramp movie, so expectations must have been pretty high. And as good as The Gold Rush is, it doesn’t come close to the emotional impact of the previous Tramp feature, The Kid. Until I found these exhibitor reports, everything I’d seen indicated The Gold Rush had been a hit. Now I don’t know what to think. Thank for posting these, Chris. I could read these sorts of things all year long and never tire of them. That’s why I come to this site: to find things I never see elsewhere. As to the exhibitors’ complaints (aside from the predictable carping about the exorbitant rental fees that United Artists asked for their films), note that most of these comments come from Middle America. The critics who have made and shaped the reputations of the Hollywood film community for the last hundred years have always lived in the east and west coasts, where values are a little different. And this is why we get the film histories we have today. Had film histories been written from a Middle American perspective, our perceptions of who were great artists and who were not would have been quite different. 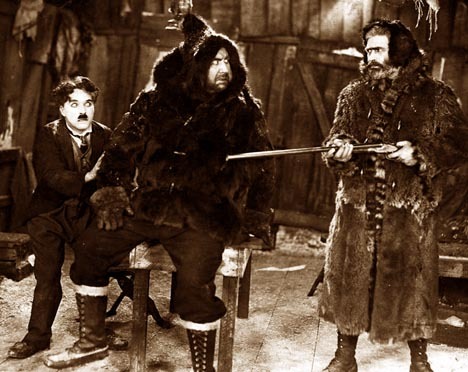 Based on the audience interest in these reviews from Middle American towns concerning “The Gold Rush,” interest in Chaplin had waned since his “The Kid.” A Charlie Chaplin comedy-drama had little appeal to Middle America. In large cities on the coast, however, I imagine the reaction was completely different.